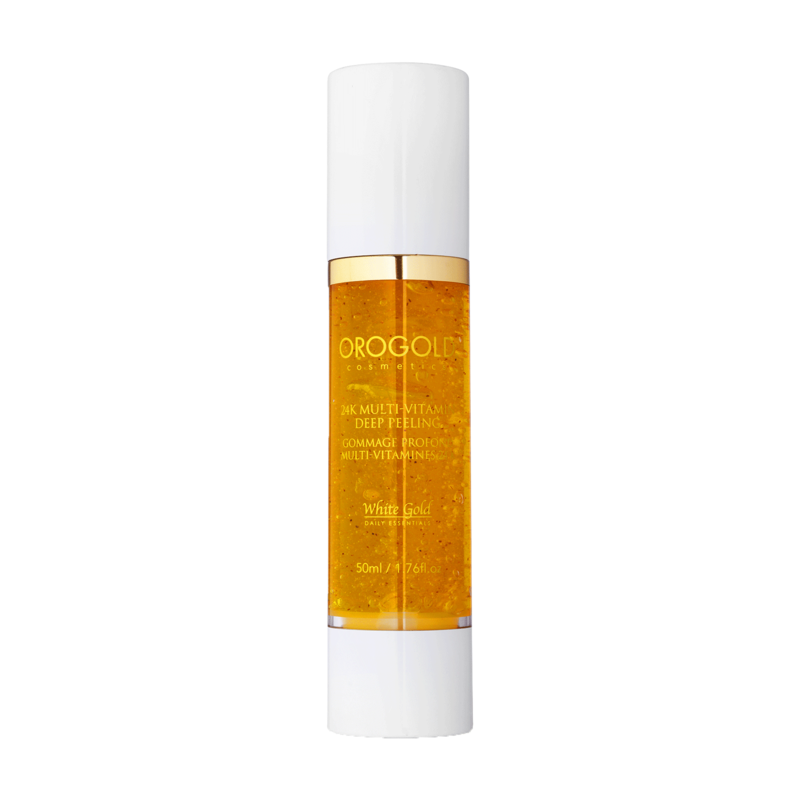 OROGOLD’s extraordinary 24K Multi-Vitamin Deep Peeling + Mandelic Acid is enriched with Mandelic Acid, Organic Coconut Oil, Bamboo Extract Powder, Green Tea Extract, Vitamins A and E and our signature gold formulation. Give your skin a pampering cleanse to expose younger looking skin. The peel removes dirt and makeup residue, leaving your skin feeling radiant and energized. Apply a small amount of 24K Multi-Vitamin Deep Peeling + Mandelic Acid to cleansed dry skin being careful to avoid the eye area. Rub the peel into skin in a circular motion. Do not leave the product on for more than 30 seconds, rinse it off with cool water.